Love running? Love Disney? Can’t make it to a theme park? runDisney has figured out how to bring the race experience to you. Those who have been fortunate enough to do a runDisney race know how special it is. But not everyone can make it to Orlando or Anaheim to participate, let alone the new race at Disneyland Paris. Some like being able to run with their pets which they aren’t able to do in the theme parks. And some want to participate with a person who wouldn’t be able to make the trip. Now they don’t have to. The Virtual Shorts series, in just its second year, offers runners the opportunity to earn those beautiful Disney medals for accomplishing the hard work of a 5K run in the area of their choice. Tina said that she has heard lots of great feedback about the Virtual Shorts program. “We’ve had people tell us, ‘I’m so happy I can run with my dog!’ which is great. This year we’re getting it out a little earlier and extending the registration period. We’ve taken the feedback we got from last year’s event and have been working had to make it an even better experience.” One of the unexpected and elements from last year’s Virtual Shorts are the number of international runners who participated. People from 72 different countries took part including those on military bases! And another great result of the series? Three percent of the participants were never previously registered as runners so it not only extended the running season for runDisney fans, but brought even more new people into the sport! Inspired by the runners who wanted to run with their dogs, this year’s event mascot is none other than Pluto! And at the end of each 5K, the runner will earn a different Pluto medal. The June 5K offers a Pluto Dog Tag Medal. The July 5K offers a Pluto Dog Bowl Medal. And the August 5K offers a Pluto Dog House Medal. If you complete all three races you earn a completer medal and a Coolcore towel for your efforts. Those who sign up before April 30th will also earn a commemorative dog tag for their pet and a special collapsible bowl. The medals are such an integral part of the runDisney experience. They are so well crafted and beautiful, especially for Disney fans. And the Virtual Shorts series even had an impact on the races in the park! 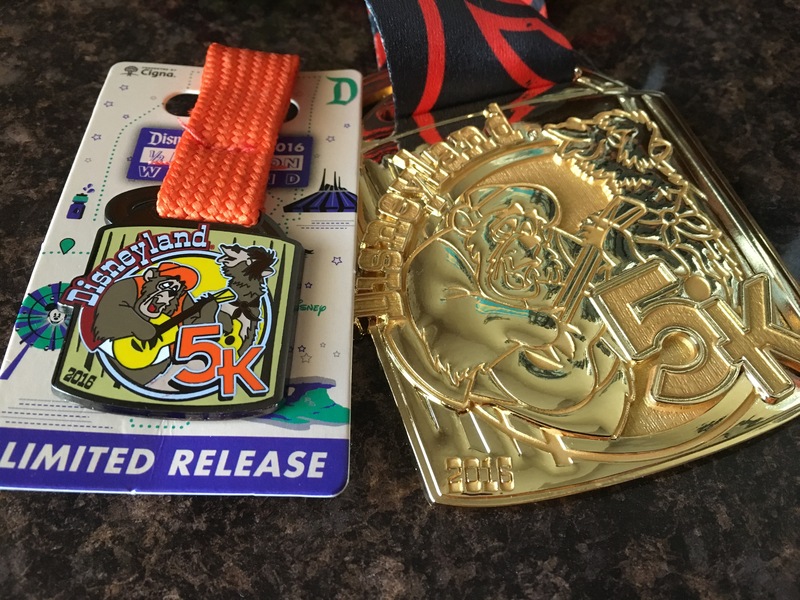 For the first time, runDisney offered 5K participants in the theme park races metal medals instead of the synthetic ones that have been handed out in the past. “We’re always working on trying to elevate the whole experience and we thought if we could give out metal medals to our Virtual Shorts participants, why can’t we do that at our theme park events, too? We should be the same on all levels.” So for the Disneyland 5K Country Bear Medals were introduced and they were a smashing success. Especially for this Country Bear fan. One of the experiences that theme park runners enjoy is an extended amount of runDisney merchandise available exclusively to participants apart from the bib and the medals so Tina told us they were looking to expand the amount of merchandise available to those running in the Virtual Shorts series. If you’re curious about a runDisney theme park event, read about my Disneyland 5K experience from this past year! I am all about virtual races! Love them!